As of 1 March, investigators of the Prosecutor-General's Office will not be authorized to investigate the Maydan cases. 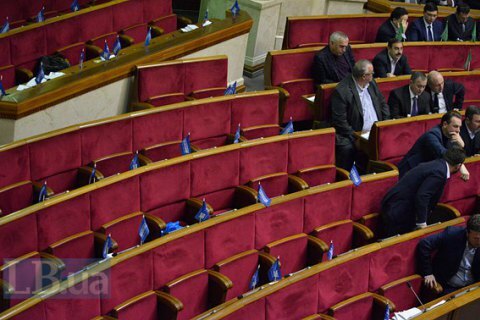 The Ukrainian parliament has gone in a three-week recess without sorting out the discrepancies between the powers of the State Investigation Bureau (SIB) and the Prosecutor-General's Office (PGO), the head of the PGO special investigation department, Serhiy Horbatyuk, has said. He noted that if the SIB took to work on 1 March, as it is foreseen by the law, the Maydan investigations would be stopped. He explained this with the lack of a legal mechanism for the transfer of criminal proceedings from the PGO to the SIB. He emphasized that this mechanism should be developed by 1 November. He added that he repeatedly called on MPs to urgently pass a decision to delay the establishment of the SIB. Nevertheless, parliament closed its plenary week on 19 February without taking the required decision and announced that the next meeting was due on 15 March. "Congratulations! Investigation into the cases will stop as of 1 March! That is how we treat this!" Horbatyuk was indignant.